With the series win already in the bag it was a tough choice for Blues coach Brad Fittler whether to push for the whitewash or blood a number of inexpereinced players and prepare for the future. The opted for the former making just one enforced change to his seventeen with Sims replacing Campbell-Gillard, out with a fractured jaw. Queensland threw the dice with five changes to the starting line up including the recall of scrum half Daly Cherry-Evans after three years in the Origin wilderness. Greg Inglis had failed to make enough progress on his broken thumb and the skipper missed out while Oates, Arrow, and Papalii were all named in the starting thirteen. The Suncorp Stadium in Brisbane would ensure a partisan Queensland crowd, with most wondering whether their side could restore some Maroon pride and bid a fond farewell to the retiring Billy Slater. It looked to be a sensational start for Billy Slater when with just three minutes on the clock he collected a high Daly Cherry-Evans kick to drop over the line but the video referee ruled a knock-on and denied the skipper the try. A Valentine Holmes intercept of a James Tedesco pass, five metres from his own line, saw the flying winger sprint the length of the field to outpace the Blues defence to score in the left corner, his seventh try in five Origins. Holmes converted his own try and Queensland were 6-0 ahead. As the half wore on the Maroons were starting to dominate having the majority of the possession, position and the benefit of referees calls. But the Blues defence held strong. After repeated goal line drop outs the Blues conceeded a a goal line penalty for an obstruction which saw James Maloney sin-binned while obstructing and stopping Slater from scoring. Holmes kicked the penalty for an 8-0 lead. The sin-binning stunned New South Wales into action as they turned the half on its head over the remaining ten minutes to half time. On thirty-six Tom Trbojevic intercepted on his own ten, in a carbon copy of the earlier Holmes try, and went ninety metres to score the Blues opening try. Nathan Cleary converted from ten metres in from the right touchline to get his side within two points. Then, in an incredible turnaround, the Blues got their second with just a few seconds left on the clock. Cook was the provider putting James Tedesco through a gap in the Maroons defence to ground next to the sticks. Cleary added the extras and the twelve men had come from behind with two tried to break Queensland hearts and give then Blues a 12-8 lead. On fifty-one, following a crazy penalty conceeded by Tariq Sims, Holmes went down the right wing and from ten metres dove over for his second of the game to level the scores. The winger was unable to add the conversion and at 12-12 the game was all set up for a sensational last thirty. Daly Cherry-Evans rewarded his coaches recall on fifty-seven taking a Gavin Cooper inside pass after a Cameron Munster break to run twenty metres to score under the sticks and give Holmes a simple conversion for an 18-12 lead. The first half defensive effort from the Blues was taking its toll as they struggled to get away from their own line. From somewhere they managed to dig deep and take the game to Queensland. Two minutes from time they looked to be in but a superb diving intercept from Holmes thwarted the attack and sealed the Maroons win. This was a superb game in which all thirty four players ran their blood to water. Queensland dominated for the most part but New South Wales were always dangerous on the break. The Blues win the series 2-1 but the Maroons regainsed some pride and gave Billy Slater the winning end to his Origin career which he craved. It’s over for another season but the 2018 series will go down in history as one of the greats. Queensland: Slater, Holmes (2T, 3G), Gagai, Chambers, Oates, Munster, Cherry-Evans (T), Arrow, McCullough, Papalii, Cooper, Kaufusi, McGuire. Subs: Hunt, Hess, Wallace, Glasby. 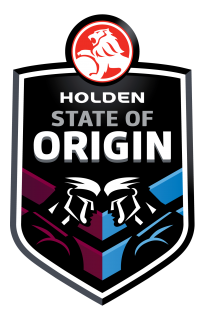 NSW: Tedesco (T), Trbojevic T (T), Mitchell, Roberts, Addo-Carr, Maloney (SB on 30), Cleary (2G), Klemmer, Cook, Vaughan, Cordner, Frizell, Trbojevic J. Subs: Sims, de Belin, Crichton, Peachey. Referees: Gerrard Sutton and Ashley Klein.